Actor-rapper-comedian Donald Glover made reference to the death of Republican presidential nominee Donald Trump while fielding questions from reporters Tuesday about his departure from the television series Community, saying that creative content should have “death clauses” like human beings. 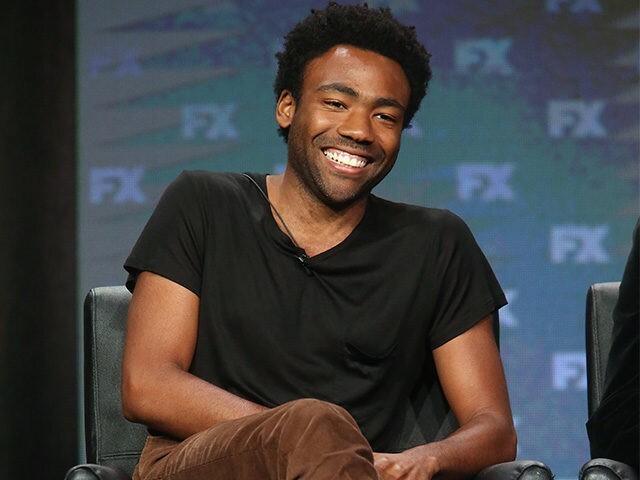 Glover’s comments came during a discussion at the Television Critics Association press tour to promote his new show Atlanta, set to premiere on FX next month. The new comedy sees Glover, who created and executive produced the show, as “‘Earnest ‘Earn’ Marks,” a college drop-out who attempts to guide his estranged cousin through the perils of rap superstardom. The first promotional footage for Atlanta was released last month. Glover says the show will possess a somewhat dark, wistful tone that he hopes will add to the current conversation about racial prejudice in America. The 32-year-old actor, who was hired at 21 as a writer for the NBC comedy series 30 Rock, is also releasing a new album in September. In June of 2016, Glover was cast in Marvel Entertainment’s Spider-Man: Homecoming. Although Glover’s role in the new superhero film is not known, filming is currently underway in Atlanta, Georgia.